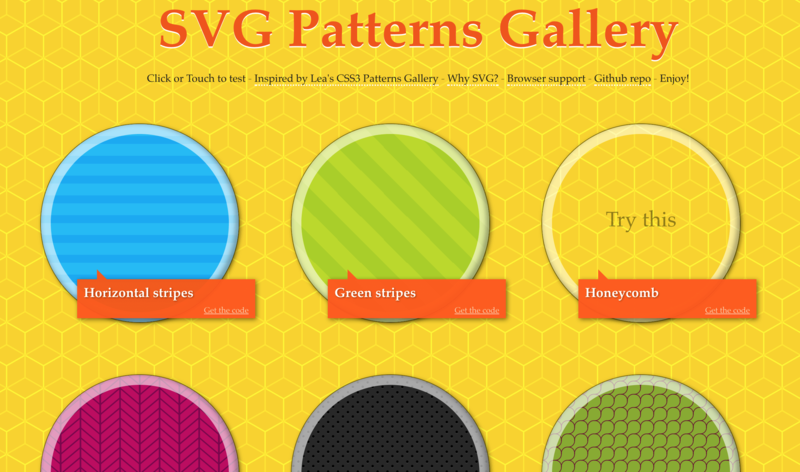 Today I want to touch on SVG Patterns. They’re not widely understood, but offer a lot of really interesting design options once you get your head around them. I’m going to start with a crash course on how SVG patterns work. Then we’ll spin through 6 tools that take advantage of them. In theory, combining the output from these tools and what you know about patterns should open up some seriously interesting new design possibilities. Let’s go. 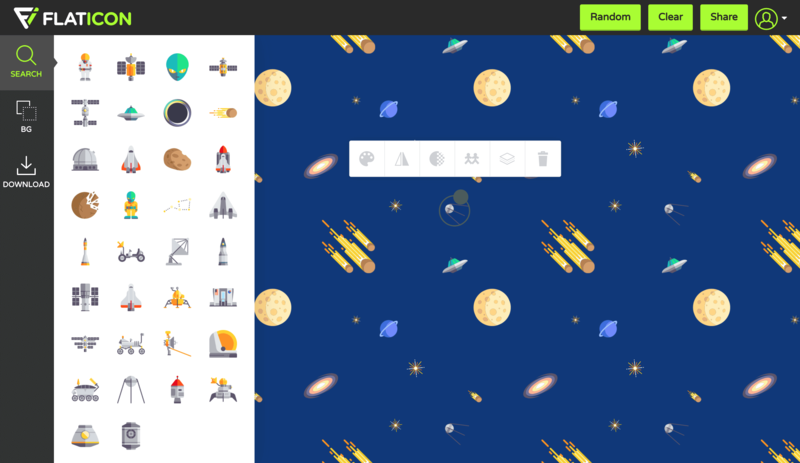 How do SVG Patterns Work? 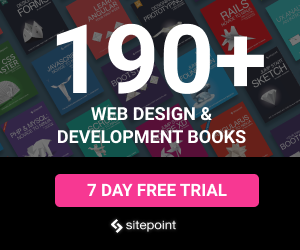 Patterns have always been a super common web design element. Even if you only know a little CSS, you probably understand how easy it is to set up any image as a CSS tiling background. Of course, we could use any web image format we like for that background (JPG, PNG, etc). But as SVGs are so efficient, sharp and very scalable, there are excellent reasons for choosing to use an SVG for your CSS background tiles. 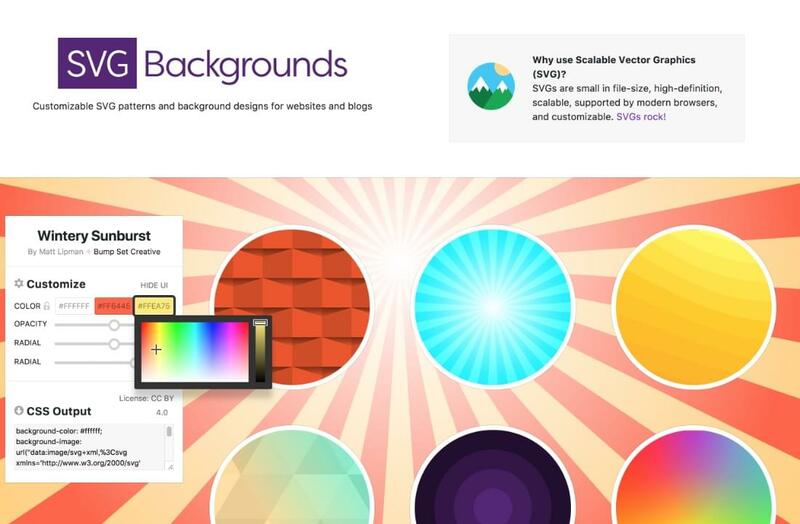 However, you may be less familiar with SVG’s native way to make repeating backgrounds – SVG patterns. It is interesting because it has some special powers that regular CSS tiling can’t offer. But first, let’s look at how a simple SVG pattern works first. In the top of most SVG files you’ll find a <DEFS> code block. The <DEFS> section (or DEFinitions) is where we place item we want to re-use later. In practice, this means SVG FILTERs, SYMBOLs and PATTERNs. Inside our <DEFS> block, we’ve set up a 20 x 20px area of pattern. Then we’ve positioned a small magenta circle right in the center (cx=”10″ cy=”10″) of that space (though this could have been anything we wanted to tile). But this doesn’t render anywhere – yet. It is just a pattern definition – almost like a color swatch or a CSS class. You have to call it in an SVG FILL to use it. 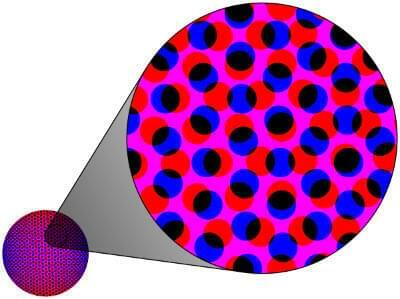 Here we’re creating a large circle (radius 50px) and filling it by referencing the pattern we defined above. It renders like this. Pretty simple, right? And we could scale up that container circle as large as we liked with no increase to the file size whatsoever. So, are SVG Patterns more useful than CSS tiles? This allows you build-up complex, layered patterns from very simple components. For instance, how would you produce this Moiré pattern with a standard CSS tile? 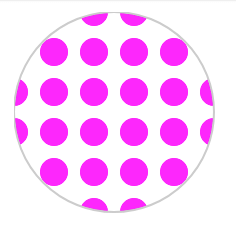 SVG allows us to define a ‘base pattern’ – like the dots we created above – and then layer that pattern with different color fills, rotations and scale (like above). Tiny files, but crazy complexities. 2. SVG patterns aren’t limited to rectangular repetitions. While CSS tiling backgrounds are always rectangles, SVG is a language of mathematics and geometry, designed to tile (or tesselate) in triangles, hexagons and even ‘Escher-esque’ multi-shape combinations. M.C. Escher’s famous Lizard tessellation is a famous example based on a hexagonal tile – this would be tough to do with rectangular tiles. In short, SVG patterns offer all sort of interesting design possibilities if you’re ready to experiment. I think these are two characteristics that open up lots of design possibilities – once you get a feel for the basics. But for today, I thought we’d look at some of the ready-to-use ‘off-the-rack’ options out there. Take these as they are, or else use them as a jumping off point for more interesting creations. To be clear, Trianglify Generator doesn’t use the SVG pattern element, but I feel it sits comfortably amongst this set of tools. Nevertheless, I think it shows what you can do by taking a geometric approach to image generation. These images aren’t so much consciously designed as ‘unearthed in a mining operation’. 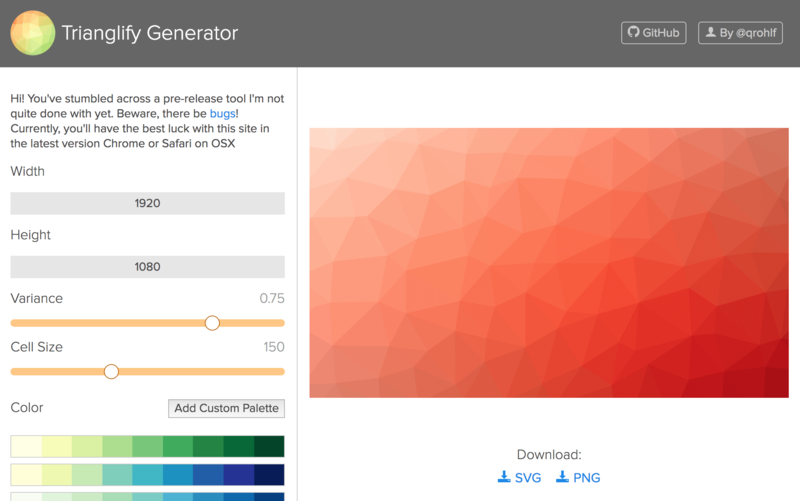 Yes, the title says 6 SVG generators, but here’s an extra freebie, just for getting this far! Recently Matt Lipman tipped me off to his new SVG generator – SVGBackgrounds.com. This tool currently offers 30 base patterns, but the colors and opacity can be customized with a few clicks. When you’re done, it exports CSS-ready SVG that can be pasted straight into your stylesheet. 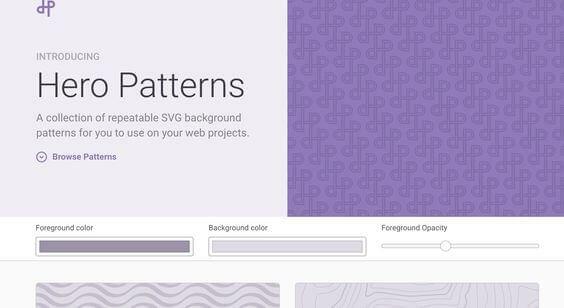 Great SVG patterns are a perfect blend of design inspiration and technical know-how and good tools certainly help. If you’re interested in experimenting with SVG patterns, I wrote a piece last year on using Boxy SVG to create SVG patterns from scratch. Playing with that tool taught me a lot of what I know about patterns now.